​Come in angry people! This is a safe place to vent your fury. Come in hurting ones! Here you will find compassion and grace to heal your wounds. Come in, all who are need of love and peace. Here, we gather as children of the living God. Lord, you have been kind to your land. You have changed our circumstances for the better! You’ve forgiven your people’s wrongdoing. ​Because of you, O God, faithful love and truth have met. ​Righteousness and peace have kissed. HYMN TIS 555: “Put all your trust in God” Why wouldn't you? Or why would you put your trust in anyone or anything else? Even when things are not going well, if we pull ourselves up, we know we are still in God's hand. ​Gracious and loving God, your steadfast love and faithfulness assuredly meet in Jesus. In him, your righteousness and peace are truly united. Through him, we have received these great gifts of your mercy and grace. The prayer continued, but my thought was that when we have such gifts, why would we complain about our lack of anything else? Dear God you have every right to be angry with us. We have such good intentions, but we continue to mess up. Forgive us, God. We joyfully sing of your love on Sunday morning, but by Monday we’re feeling lost and unlovable. Forgive us, God. How did he know about me? Then you forgive our sins, and once more show us how to forgive others. You offer us a vision of truth and love meeting together, and you invite us into their warm embrace. As your forgiven people, beloved children of your promise, you renew us in holy love. I was going to abbreviate this prayer but just couldn’t find anything to leave out. Peace is a gift beyond price. In Christ, we find peace as we are reconciled to God. Let us share this precious gift with one another in joy and thanksgiving. The peace of Christ be with you all. And also with you. We then reached out to each other offering that peace to each other. Loving God, you fill our lives to overflowing like baskets of summer fruit. May the offering we return to you this day show our gratitude for your many blessings, and our commitment to love our neighbours as you have loved us. Through your goodness and the sharing of these gifts, may all come to know the richness of your love. Amen. Hymn TIS 162: “Thank you for giving me the morning” A hymn that seems to have been written for children but it speaks to every area of my life. Bible Readings: Hosea 1: 2-10: Colossians 2: 6 -19: Luke 11: 1-13. The Hosea reading seems to reveal a very unbending God. Certainly that's how these people saw God's power playing out. I think God's mercy is so much bigger than that. Colossians speaks of the freedom and abundant life we are offered through God's love. Count me in. Luke teaches us to persevere, that God does hear us. But what I hear is that God is so generous in His persistence in seeking each one of us. Preaching of the Word The Responsibility of Hearing. John began by placing the situation within the context of our own lives. How would we react if someone wanted us to open the door when all the family was in bed and the chaos of the previous day was strewn all through the house. The factor that made the story a little different from our own is that in Greek the word translated as "persistence" in the NRSV has a connotation of "shameless". 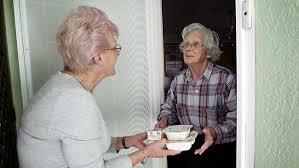 That is on top of the cultural requirement of offering hospitality. So the householder had to open the door because of the neighbour's shameless persistence. Hymn TIS 209: “And can it be” It always amazes me - how could the God of all that is - the essence of love and life- the source of abundant life - how could I be invited into this realm of grace? Musical Interlude while we thought about our own lives and those of the people about whom we are concerned. Prayers of Intercession Margaret Johnston led these. That's me, by the way. There was much to pray for. We expressed our thanks for God's unbelievable generosity as He persists to draw us to Him. We prayed for the Grace to take the message of God’s love to the world and then turned our attention to all those suffering because of the insane violence in the world. We also prayed for the victims of violence anywhere and visitors to Rio de Janeiro that they will be kept safe. Then we prayed for all those involved in criminal acts - the victims, that they will be comforted; and the perpetrators, that they will find a better way. Our prayers raised up the sufferers of physical and mental illness everywhere, and then the Church, especially our Uniting Church that we should keep faithful to our mission. We then prayed for the personal concerns of the congregation and drew to a close together with the Lord's Prayer. Go in peace, knowing that you are a forgiven people. Go in faith, knowing that God hears your prayers and understands your needs. Go in love, knowing that God invites you into the holy embrace of truth and righteousness. Go now as children of the living God to serve others in Christ’s name. The ungodly laugh in their conceit, plotting the destruction of the righteous with sharp tongues and works of treachery. They are fools. For the righteous are like fresh olive trees in the house of the Lord, and will dwell in God's steadfast love forever and ever. Like green olive trees in the house of God. we come into God's presence. Like young saplings in the courtyard of the Lord, we drink deeply from the waters of life. Like the fruit of God's vineyard, we ripen in the light of God. Hymn TIS 596 "Fill my whole life, O Lord my God." It is not enough that we are wholly filled with praise for God, but we should also declare that praise to the world and walk every step of our lives with God. John compared God's gift of abundant life to a basket of summer fruit - something that invites us to partake through all our senses. He then spoke of God's presence being a joy to the heart and a blessing to the spirit. Sometimes that awareness fades but as soon as we look again, it is there. John made reference to something of which we are all so aware: our ability to lose our focus on God and His will because of the demands of our daily lives. Why do we try so hard to cope by ourselves? John's words: Bring forth your words of peace, and bring us back to life. John spoke about how we forget about others. It's just so easy when we are tired and hurting. Correct our ways when we are so self-centred and neglect the poor and powerless. And sometimes, instead of seeking comfort in God, we turn to the glitter around us. Draw us to you, Holy One, and lead us into life. Amen. The peace of God be with you all. And also with you, We then exchanged the peace with each other. The reading from Amos was about the terrible things that would befall the people because of their hypocrisy. They couldn't wait until their religious obligations were over and they thought that they could go back to cheating the poor. Colossians brings us hope in that: "And you who were once estranged...he has now reconciled in his fleshly body through death." Luke offers a different perspective. Both Martha and Mary were followers of Jesus but saw their duty towards him differently. After church there was discussion about this and whether Jesus should have told Mary to help her sister. I'll let you think about that. John brought us a message about distractions. 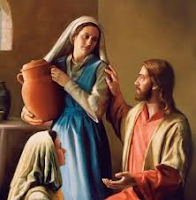 Was Martha distracted by her domestic tasks or should Mary have helped her and given her more time to be with Jesus, too? John spoke about the many distractions of our lives. I am typing this blog on my iPad. It is being very useful at the moment but it can be more than a distraction! Remember hospitality is a responsibility in Middle Eastern countries, even now. John said how we can all relate to the position of Martha but we can imagine Jesus saying that the dishes could wait. One of our women pointed how very like a man that was. Dishes don't do themselves. But there is an important point here: priorities. In today's world there is so much we can be doing. We have to protect ourselves from being overwhelmed by the mundane tasks so that we don't have time for the important things in life. As John concluded: We can all learn a lesson from Martha. There will be time for the important chores that need to get done, but find the balance. Sit at Jesus' feet and worship Him and there will be time for the rest. Hymn TIS 585 "I heard the voice of Jesus say." This hymn focuses on some of our most deeply felt needs but God can meet any need and mend any broken life. John prayed on our behalf to God who cares for his people and who shows justice to all. He prayed for those who seek justice in today's world and those who go hungry while food is stockpiled on wharves with nobody trying to distribute it. He prayed that the leaders of the nations will look to see that those who are cheated of wages will have their rights restored and that resolutions will be found to all the conflicts worldwide. He raised up the people of Turkey and Nice, asking for God's blessing on them. He prayed that communities be renewed by God's grace. He then prayed for the concerns of our own congregation after which we joined in the Lord's Prayer. Amen. which shall from age to age endure, whose word, when heaven and earth shall pass, remains and stands forever sure." These words give a sense of security, so that we can step out in confidence, in His Name. Formed by the Word of God, informed by the compassion of Jesus Christ, transformed by the power of the Holy Spirit. And may the blessing of God Almighty, Creator, Redeemer and Giver of Life be with you in your life. and transferred us to the light-realm of his dear Son.’ The grace of the Lord Jesus be with you all. To share in the inheritance of the saints in the realm of light. Let us worship this God with loving and thankful hearts. A true friend of God, praying from the heart for all those blessings in each little rivulet of our lives. How grateful are we for a warm comfortable sleep of refreshment and restoration each night? Or do we take it for granted? How grateful are we for being loved or do we think that everyone has someone who loves them? Everything that is good comes from God. So. If it's good, give thanks. This prayer reflected God's faithfulness to us throughout all our lives. Thanks be to God. Hymn TIS 179 “Praise with Joy the World’s Creator” to the tune of "Praise my Soul" We sometimes think about what a good job we are doing and maybe, secretly, how lucky the world is to have us, but we should remember that all good comes from God. All of it. O God, we find it so easy to move out of line when we should be straight with others. We do not measure up to your Word and to your way revealed in Jesus Christ. When we should be straight with you we hold back. We weakly plead ignorance. We try to hide our true motives. When we should be straight with ourselves we make the lamest excuses. We blame others. We take refuge in busy-ness. O God, what can we do? We are so out of line. We just do not measure up and we are a problem to other people. Help us to be straight. Help us to be honest. Help us to be people of integrity, faithful to ourselves and to You. It takes courage to admit we are out of line. To simply admit we are wrong. To just confess and be sorry. No excuses. No rationalization. Just: I am wrong. Merciful God, in the great commandment of love you have given us the summary and spirit of the whole law. Make our hearts attentive to the sufferings and anxieties of our brothers and sisters and help us to be generous in response and service, that we may become like Christ, the Good Samaritan to the World, in the name of Jesus Christ our Redeemer. Amen. Many of us are older and suffering with more than a few aches and pains. We don't see or hear as well as we used to. We don't feel as secure as we did once. It's so easy to think about ourselves when we are like this. But we are not here for that. In Christ Jesus we are a radically renewed community. Thanks be to God! Old things are done away with, all things become new. Thanks be to God! We are agents of grace and reconciliation. Thanks be to God! With every step or stumble, Christ is with us. To keep us on track, to pick us up and dust us off when we fall. In other words, “In Christ we are forgiven.” Thanks be to God! There was much movement as we reached out to touch as many others as possible. Gospel Reading: (Warwick) St Luke 10: 25 – 37 The mission of the seventy. There are all sorts of detailed instructions, but it really boiled down to the 70 being told that they had a job and to concentrate on that. They weren't to get carried away with major planning - just tell the message. We can get quite carried away with all sorts of extraneous accessorizing of the message of God's invitation but there isn't any way we can improve upon the gift of God's love. Hymn TIS 629 “I Needed a Neighbour, Were You There?” The chorus: And the creed and the colour and the name won't matter, were you there? Don't look at the details here. Anyone and everyone is our neighbour. And we should step up to help that anyone. 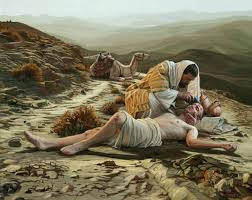 Sermon: “The Good Samaritan as Drama” (Rev Dr Bill Ives). Bill talked about how stories work and pointed out that dramas are written to focus our attention on the crucial message by deleting extraneous details. One example he gave was the ability of people in films to find places to park their cars. My own observation is that they walk away without locking the car??? He explained that life is very jumbled and that by sifting out all the superficial stuff, a drama can pull us to the core of the story, which is so connected to our basis desires and urges that we are captivated and drawn along with the flow of the story. We enter in the events and in the emotions of the characters. And that's what parables do. We are caught up and before we know it, we are condemning ourselves, as in the Parable of the Good Samaritan. Through this device, we are taught spiritual messages from earthly stories and the unknown is illuminated by the known. We may think we are good neighbours but we choose which "neighbours" we help and which have needs to which we are blind. Gotcha! When we abandon those who need our aid. Move us to pity and teach us to care. When we close our eyes to those who are hurt. Move us to pity and teach us to care. When we walk away from our responsibilities. Move us to pity and teach us to care. When our hearts are untouched by the pain of others, Move us to pity and teach us to care. Amen and Amen. If only we could open our hearts to pray this all the time, but it seems that doesn't happen, otherwise things would be different. Hymn TIS 587 “Fold to Your Heart Your Sister and Your Brother” "Follow with rev'rent steps the great example". This is more of the same message. Jesus didn't turn aside from anyone. Nor should we. Bill prayed to God who has taught us, through Jesus, to uphold all those before him who are in need. There is much we should do, but much is beyond us, so we lay these needs before our God who is faithful. Before God, who is always living, never tired; who hears the raw weeping of those who humanity has deserted. Bill made specific mention of a number of needs and then we all joined in the Lord's Prayer. Sometimes, when we think nobody is listening, we must remember that God is....always. Hymn TIS 614 “O God of Love Whose Heart is Ever Yearning" Singing this hymn to the tune "Finlandia", added to its emotional impact, but the words that stuck with me were "grant us Grace." We go nowhere without God's Grace. Ahead of you is the expanse of a new week where as yet no one has trodden. We will take our lead from Jesus; treading softly, but boldly; aware of others. Let your eyes be open to those in need. Let your ears be open to what they are really saying. Let your heart be open to such people with love, however they present themselves. whose resources are abundant - way beyond our needs. If we kept this uppermost in our minds as we travelled through the day and week, the world around us would be a better place. May the blessing of God, the Father, Son and Holy Spirit be with you and remain with you always. Before the presence of His glory With exceeding joy.